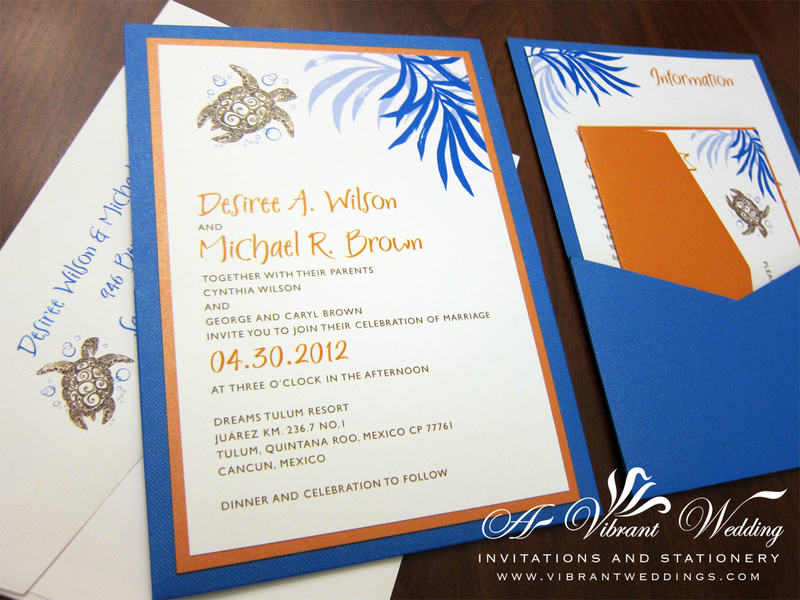 This tropical sea turtle design with palm fronds is a excellent option for the couple having a tropical destination wedding. $6.50 per invitation suite for a set of 100 invitations, fully assembled (layers of matted paper glued together). $8.50 each suite for a set of 50 invitations. Included are 5×7″ Triple-Layered Flat Style invitation printed on White Matte card-stock with a 3.5×5″ Single-layered Response card, and two blank White Matte envelopes. 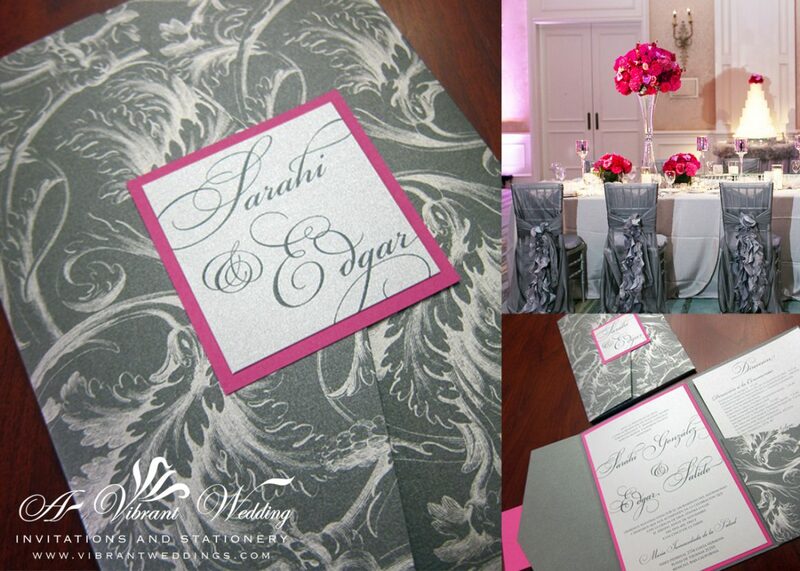 Upgrade this same invitation to a PocketCard or PocketFold style invitation. Price may vary. 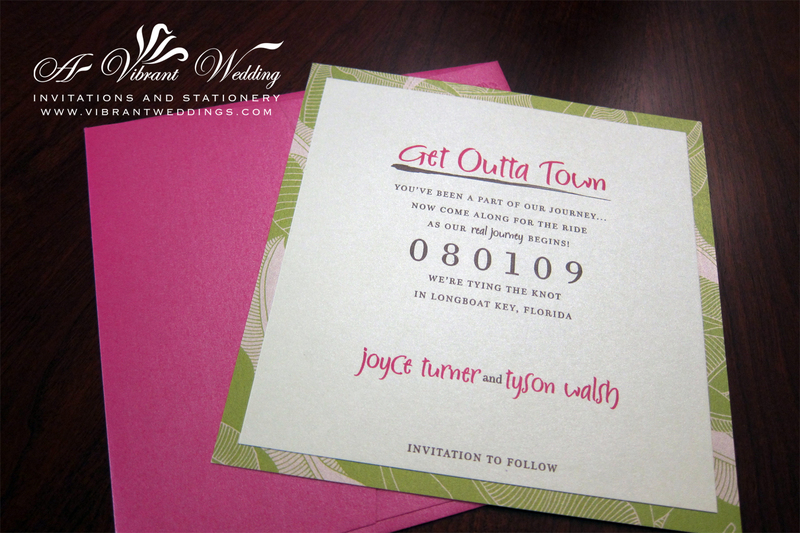 Envelope addressing is available for $0.50 per address in font and color of choice. 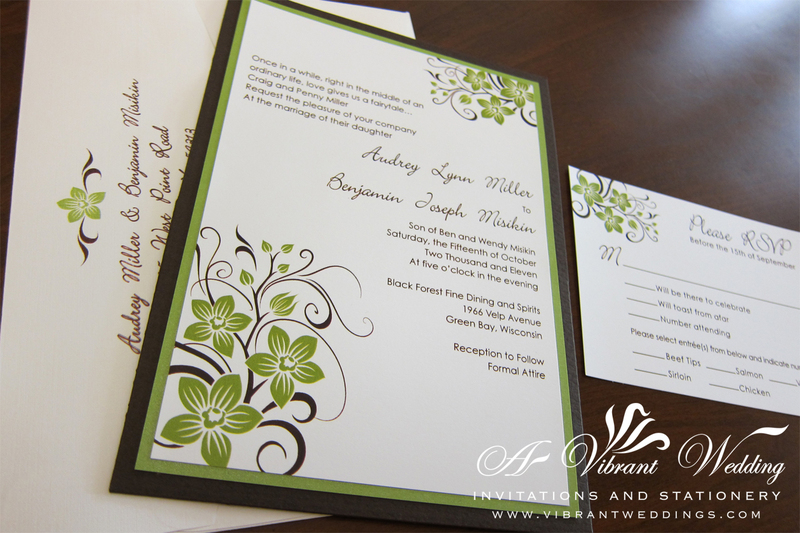 5×7″ Triple-layered, Green and Brown Wedding Invitation with Orchid Design, Pocket Card Style. Invitation is on the front side and pocket is on the reverse side of the invitation to accommodate your RSVP card and any custom inserts. Thanks to Dimar we had the most beautiful and unique wedding invitations. We got so many compliments. I would highly recommend this company! $6.50 per invitation suite fully assembled, for a set of 100 invitations suites. 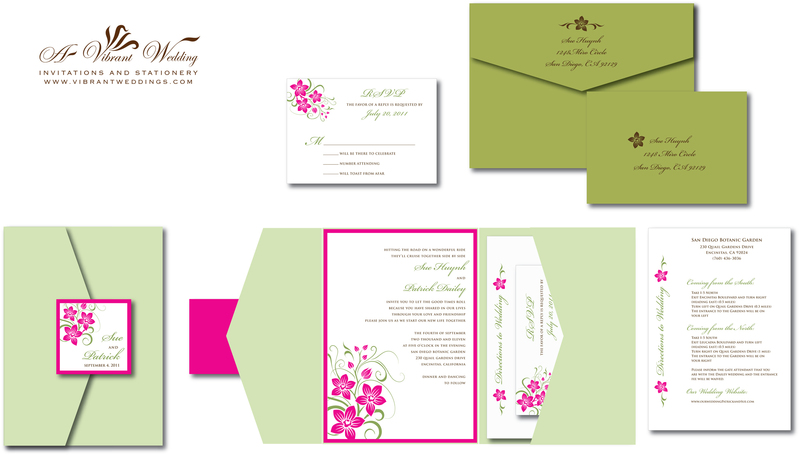 Includes Double-layered Pocket-card style invitation, the Response card and two blank matte envelopes. 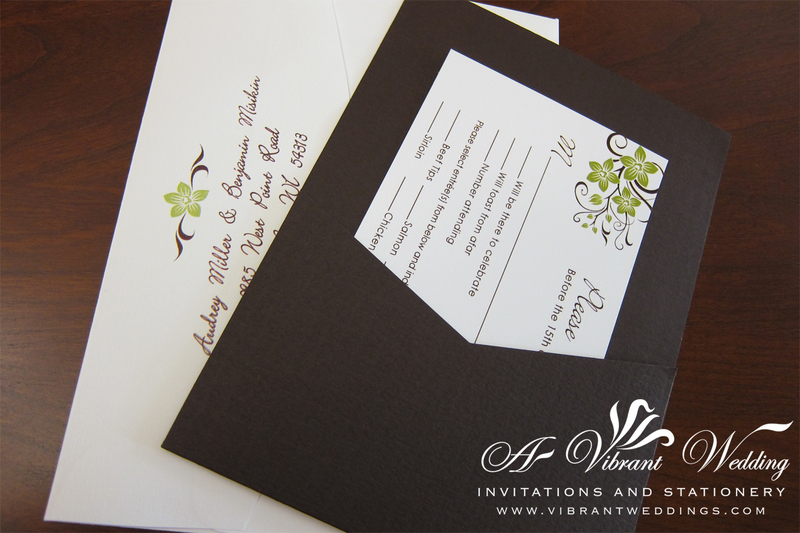 5×7″ Chocolate brown Pocket-card style, double-layered invitation, green border and printed on white card-stock paper. 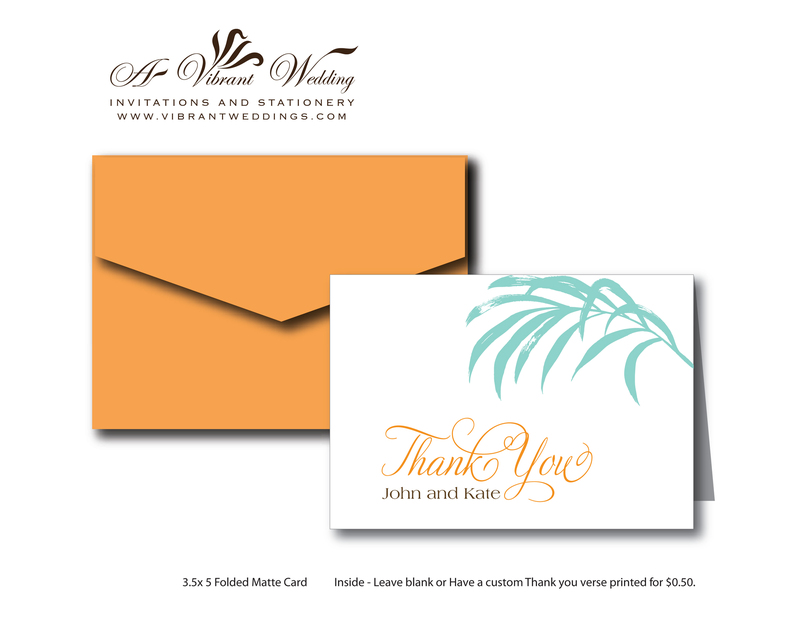 Thank you Card – Tropical/ Beach Theme – Customize Yours! Customize your Thank You card to match your colors, theme, and also have your custom Thank You verse printed. 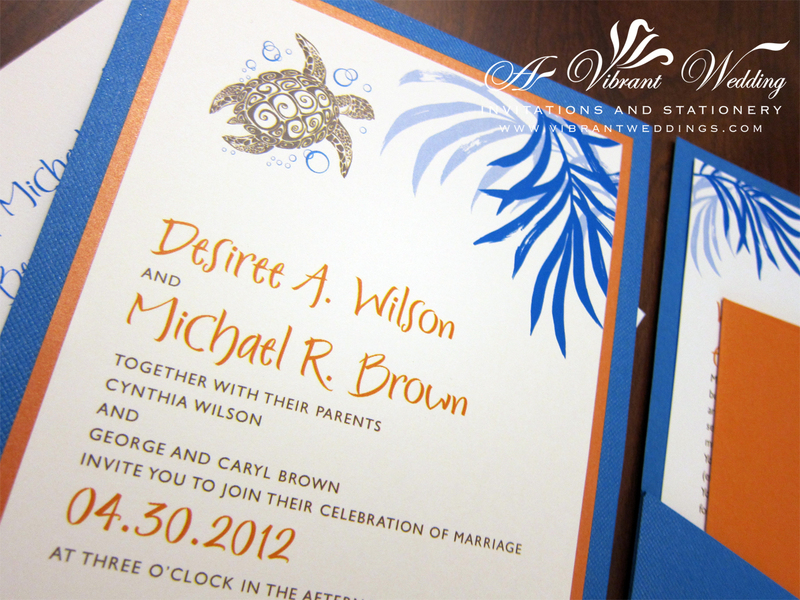 Looking for something tropical…check out Sue and Patrick’s botanical garden custom wedding invitation mock-up. Real photo image coming soon! I love it…more and more brides are NOT shying away from color for their weddings. So, I had to bring this oldy but goodie out as an inspiration to one of my brides who is using these colors for her tropical wedding. 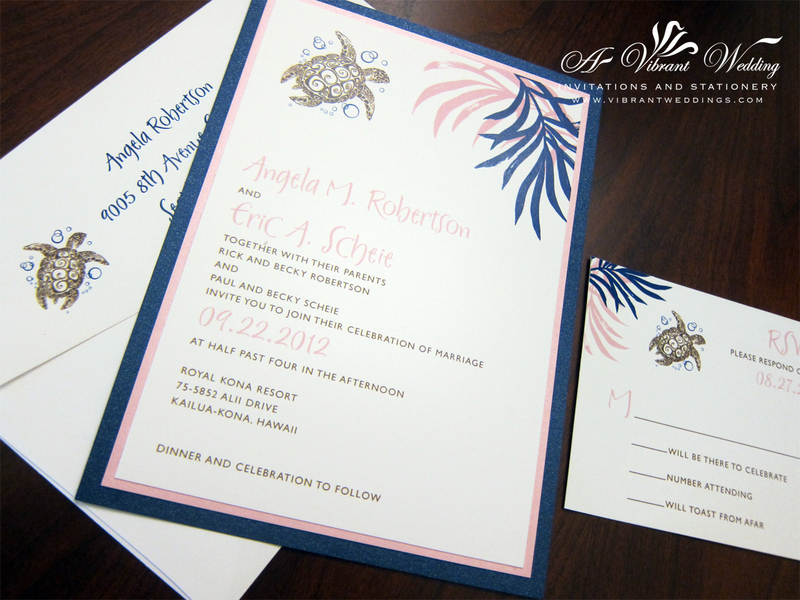 Included are 5.75×5.75″ Double Layered Traditional Flat Style invitation with metallic pattern card-stock backing and printed on a metallic card stock, and one metallic envelope in your color of choice.